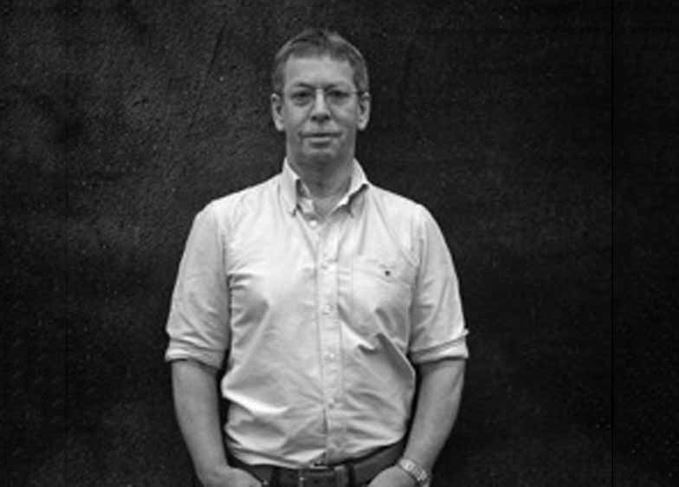 With a career spanning nearly four decades at William Grant & Sons, distiller John Ross has had his fair share of failures, but insists he would never have achieved quite the same level of success as he has done without them. He speaks to Dave Broom about algae, photobioreactors, the balancing act between innovation and brand identity, and his vision for a greener Scotch whisky industry. When you go to interview a distiller, it’s fair to say that you don’t expect the first topic of conversation to be about algae; not in said distiller’s dam or the water source, but as a potentially lucrative by-product. Then again, there’s not another distiller in my experience quite like John Ross. It’s unlikely you’ll have heard of him. His job title is technical area leader at William Grant & Sons, which means he is in charge of the firm’s technical innovation arm, designing new processes – such as the algae pilot plant. Our paths have crossed on a semi-regular basis over the years, and his name is regularly dropped by other whisky-makers whenever the topic turns to new technology, innovation and uber-geeky areas of investigation. He is the man with the answers (not that I would tell him of his reputation – he’d just deflect the praise). Ross, quietly spoken, just gets on with the job… or jobs. Anyway, the algae. I’d opened the chat by asking him what was new and exciting. Having glimpsed the framework of the new Girvan grain distillery outside his window, I felt I was on sure ground. ‘Photobioreactors,’ he responded, launching into a fascinating technical explanation of what they did, how they worked and, well, the science then got the better of me. The basic premise is this: photobioreactors use sunlight and waste carbon dioxide to grow algae, and do it in a much more controlled and intensive fashion than would happen in nature. The algae can then be used to absorb carbon dioxide (a good thing) create biofuel (also a good thing, though I got lost at that bit) and are rich on omega oils (also good). What does a distillery have an excess of? Carbon dioxide. Ross talked about using the carbon dioxide from washbacks – and even Scotland has enough sunlight to make this work. In other words, algae can help the environment – and make you money. I’m digesting this, but he’s now talking about the refurbished stills which have gone into the Hendrick’s distillery, that new grain distillery (which is no small thing), the expanded capacity at Glenfiddich and everything else that’s on his desk. Over his 38 years at William Grant, he’s worked in malt distilling, ‘I learned that the hard and practical way’, in the firm’s NPD lab in Southampton, and helped design and commission the expanded Girvan plant in 1986. In 1992, he became Girvan’s production manager and installed the first multi-pressure process for grain whisky in the world. Why was it needed? ‘The stills we had were conventional, Coffey-esque two columns making a heavy-style grain. When you use direct steam injection you can burn material onto the internal surfaces. If the still operates with a vacuum in the wash column, however, you won’t get any burning, therefore there’s no sulphur, no off notes, and you get clean, fruity esters – and greater consistency. ‘The first samples were sent to Glenn Gordon (now Grant’s chairman), but he said it was too light, and told me to make it heavier. The trouble was, no-one had made any grain spirit with these stills. I figured that if you got lighter and cleaner spirit by altering the pressure, you could do the reverse and make things that bit heavier.’ So it worked? There is a small smile and a laconic ‘aye’ in response. This relentless innovation is, he feels, something which is part of the Grant family DNA. ‘Charles Grant Gordon [former life president, who died in 2013] was willing to invest when no-one wanted to. Every Saturday morning he phoned me. He never asked me about efficiency, it was always “how’s the quality” and “what can we do to improve it?”. We’re back with the algae. ‘The trouble with photobioreactors is that the technology is expensive and not yet cost-efficient,’ he adds. ‘But in 5-10 years’ time, you could see full-scale algae plants. I realised this and, as it wasn’t stacking up commercially, I proposed to Charles that we close the pilot trials down and allow the technology to catch up. A distillery is an unlikely place to hear a variation on Beckett’s ‘Ever tried. Ever failed. No matter. Try again. Fail again. Fail better.’ There again, maybe innovation is as much about failure as success. So even though you have to keep moving forward, isn’t there a risk that you can innovate identity away? So does that mean there’s new technology being built into the new Glenfiddich? There’s also a danger that any small change can have huge repercussions. Do you think you’ve seen it all? ‘I’m still learning,’ he says. ‘There’s so much stuff which we have done that starts off like chasing rainbows, but I go back to Charles and his “failure helping us to move forward”. There is still so much I want to know and do. ‘There’s a lot we can still do as an industry in adding value to co-products. In 1982, I worked on a project to develop anaerobic technology [to produce biogas from the distillery’s effluent]. The learnings from that allowed us to build large-scale anaerobic reactors in 2009. ‘We put 70m litres of alcohol a year into the atmosphere in Scotland – now there’s a challenge, because that is value being lost. I think back to the Balvenie story; lifting the plates, seeing what’s happening, noticing the small details. Someone needs to be in charge of the invisible to ensure whisky moves ever forward. Whisky needs people like John Ross. Alwynne Gwilt, aka Miss Whisky, has joined the Glenfiddich and Balvenie producer’s prestige team.